Collaboration Table – What Do You Think!? 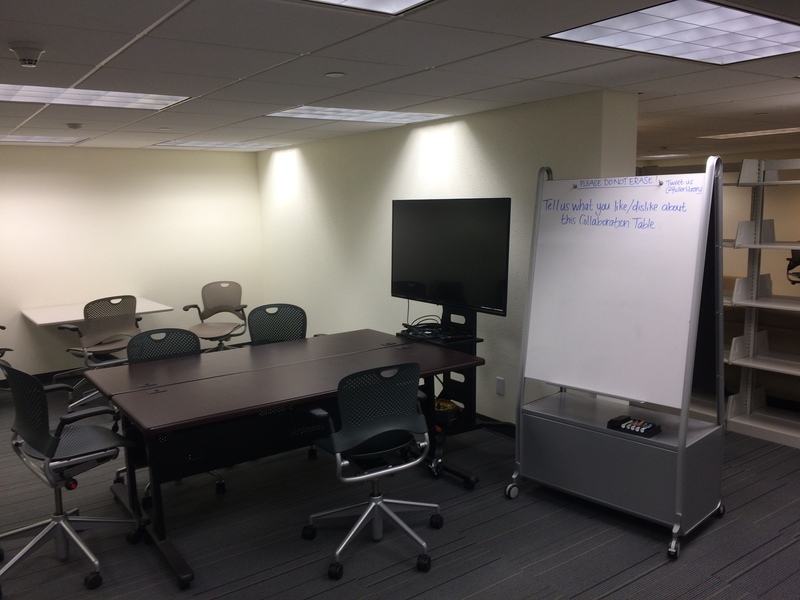 Fuller Library > News > featured > Collaboration Table – What Do You Think!? Fuller Library needs your thoughts about this Collaboration Table! This is an example of new furniture we are deciding to purchase. These Collaboration Tables will have power outlets in or near the table, the ability to seat 5-6 people, the monitor will have adapters to hook up laptops to, as well as webcams to allow virtual meetings. What do you like about this? What don’t you like? What could be improved? Let us know!